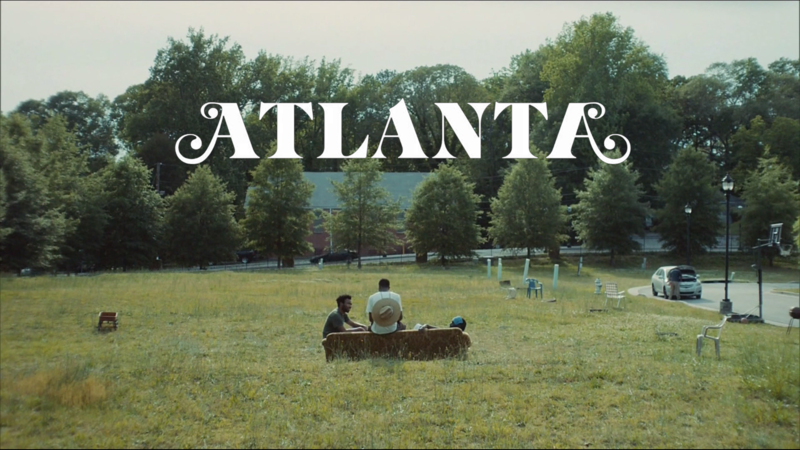 I am hard-pressed to think of ways to describe Atlanta, Donald Glover’s newest creation for the small screen, which debuted in September of 2016 on FX. Lauded by critics everywhere as one of the freshest and most original comedies to ever grace the television screen in recent history, I can only add my voice to the chorus of adulation. For those in the audience who may not know, the series follows Princeton dropout Earnest (Earn) Marks (Donald Glover), who splits his nights between the house of his girlfriend—and mother of his infant daughter—Van (Zazie Beetz) and his parents’ home, and spends his days promoting credit cards at the airport. In an attempt to turn his life around, Earn asks to manage his cousin and aspiring rapper Alfred’s (Brian Tyree Henry) blossoming career. The two are joined by their stoner friend Darius (Lakeith Stanfield) who has a penchant for philosophizing. The comedy centers around the exploits of these four characters as they navigate life and work in the titular city. 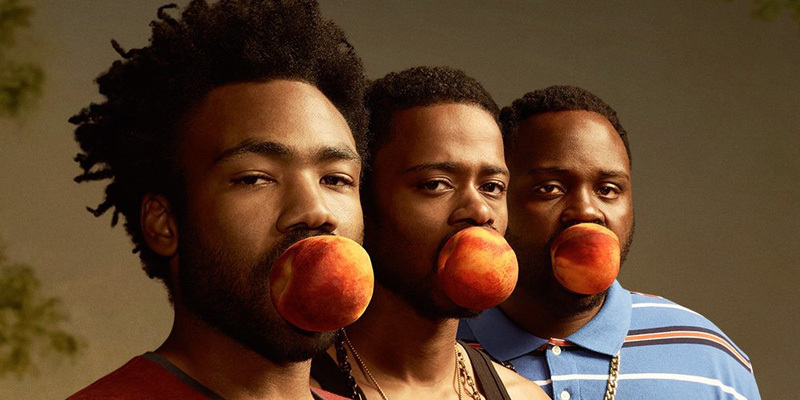 I would venture to say that Glover’s show oscillates along a spectrum with comedy and drama at each end; Atlanta does not have the emotional heft expected of full-blown dramas, nor does it display a “laughs-at-all-costs” mentality typical of many modern comedies. Instead, viewers are kept (happily, I might add) in thematic limbo as Glover moves his show fluidly along the spectrum, seamlessly and simultaneously infusing a scene with elements of both genres. The season finale “The Jacket” encapsulates this grace perfectly; at the beginning of the episode, Earn wakes up after a night of partying and realizes his blue bomber jacket is missing, along with a very important item he’d left in one of its pockets. During the climax, Earn, Alfred, and Darius are waiting outside Earn’s Uber driver’s house, to whom the jacket was traced. As the three wait in the car, Alfred gets skittish at how eerily quiet the area is and begins to pull away. At that very moment police vehicles come screeching in seemingly out of thin air and train their guns on the Uber driver’s house. Soon after, a man comes running out from behind the house wearing a blue bomber jacket and is instantly gunned down (it’s later revealed the Uber driver was a drug dealer). This jarring scene is over as soon as it begins and is followed immediately by Earn meekly asking the police officer to check the jacket pockets for what he’d left in them. The viewer is also privy to the dramatic irony that the police completely ignore Alfred, who is currently wanted for questioning. Scenes like this one—shot masterfully by the accomplished hand of series director Huro Murai—in which Glover’s ability to smoothly blend genres is on full display also serve to highlight another facet of Glover’s brilliance, i.e. his skill in portraying reality. In the above example which involved white police and the black protagonists, I was half expecting Earn or Alfred or Darius to get harassed for no apparent reason, as a commentary on police brutality in America; thankfully, Glover disappoints in this regard. The police merely assist Earn in checking the jacket and then leave, and while the statistics concerning police brutality are not the subject of this essay, I feel as if what Glover portrays is at least somewhat true-to-life. This is not to say that Glover is stance-less—“Streets on Lock” gives small insights into his left-leaning attitudes concerning sexuality and police brutality, though once again he does this in such a believable way that it seems as though he has no agenda at all. Additionally, the exploits of the main characters are detailed in such a way that it seems Glover merely took a camera and taped them going about their days. Similarly, the dialogue often feels unscripted (at this point, I’d like to enter “anti-scripted” into the lexicon) as well. This reality goes against what is ingrained in our consciousness as fallen human beings, the all-consuming compulsion to be center stage in whatever is happening around us. It is all-too-easy to stir up a self-perpetuating wave of spiritual fervor and self-righteousness in our minds, convincing ourselves that we will be the next to go out and, in a brave feat of derring-do, save all of those unrighteous people we see everyday, when in reality days go by where the only communion we have with God is apologizing to Him for forgetting to have a quiet time. Once again, the disconnect between real life and our personal aggrandized version of it rears its ugly head. And I say all the better for it. At the beginning of his ministry, Jesus calls two brothers whose lives, as fishermen by trade, embodied the essence of mundanity. If a theatrical analogue to Atlanta existed in Jesus’ time, James and John could have been stars. These men knew nothing of epic battles between good and evil, though they soon would. They were simply living their lives day in and day out, and when Jesus called, they went. This should be our model. As I said earlier, however, no, we will not be called by the earthly person of Jesus like the 12 Disciples, but we are called and we are disciples nonetheless. Even if the display of Christ’s love through your life is as simple as buying coffee for a coworker, that be a cause as noble in its mundanity as the Reformation itself was in its audacity. Also, here is a piece of true art for your edification from some genuinely talented people, among them the visionary director of Atlanta, Huro Murai.